August Wilson's epic new tale is set in the 1980s — when the rich got richer and the poor got poorer. Don't miss this East Coast premiere of the latest in Wilson's cycle of plays portraying the African-American experience through each decade of the 20th century. 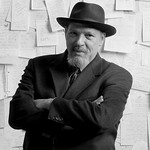 August Wilson authored How I Learned What I Learned (2016), Ma Rainey’s Black Bottom (2012), Fences (2009), Radio Golf (2006), Gem of the Ocean (2004), King Hedley II (2000), Jitney (1998), Seven Guitars (1995), Two Trains Running (1990), The Piano Lesson (1988), and Joe Turner’s Come and Gone (1986). These works explore the heritage and experience of African Americans decade-by-decade over the course of the 20th century. David Gallo has Huntington design credits that include August Wilson's How I Learned What I Learned (2016), Gem of the Ocean (2004), King Hedley II (2000), Jitney (1998), and Radio Golf (2006). Broadway credits include Memphis, First Date, Radio Golf (Tony Award nomination), Gem of the Ocean (Tony Award nomination), The Drowsy Chaperone (2006 Tony Award for Best Scenic Design of a Musical), Xanadu, Company, andThoroughly Modern Millie. Rob Milburn has previously designed sound or music for the Huntington's productions of A Doll's House (2017), Awake and Sing! (2014), Good People (2012), Private Lives (2012), How Shakespeare Won the West (2008), The Amen Corner (2001), King Hedley II (2000), Jitney (1998), Ah, Wilderness! (1998), and Bang the Drum Slowly (1994).